Discover Your Local History Through Our Activities Guides! What better way to learn about local history than to go out and see it for yourself! 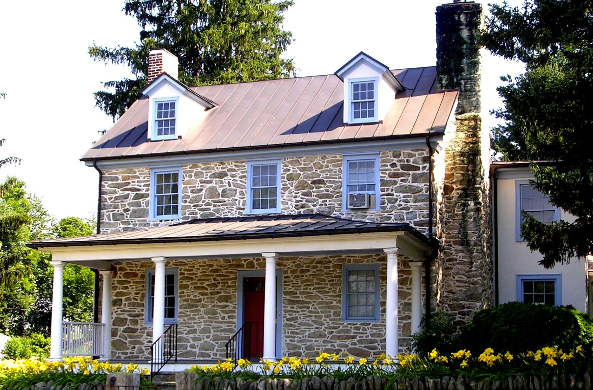 Here in Loudoun County, history is right at your doorstep, waiting for you to explore it. Go touch the bricks that make up our historic mills, like Aldie Mill, preserved and still operating less than 30 minutes from Dulles Airport. Stand on the land the Piscataway once called home. See the same fields that suffered the scourges of the Civil War. Go touch the bricks that make up our historic mills, such as Aldie Mill, preserved and still operating less than 30 minutes from Dulles Airport. Stand on the same land the Powhatan once called home. See the same fields that suffered the scourges of the Civil War. Then, get artistic—color in the pages of our Activities books and connect with the past in a funway. Create your own masterpieces while learning about the stories hidden in the Mosby Heritage Area. Share your favorite memory from the sites you visit and show us your masterpiece or group photo. You might be featured in our monthly newsletter! Share with us at info@mosbyheritagearea.org. NOTE: We recommend printing directions to the sites; apps and GPS services can be unreliable in some of these areas. Almost hidden along the roundabouts of Route 50, this park was the site of Civil War conflict. See, read, and interact with local history through the eyes of this community church. On what was once a major road—the Snickersville Turnpike—this site tells the story of the June 17, 1863 Battle of Aldie. Set in what is still a rural landscape, you'll find a monument to fallen Union soldiers and an opportunity to explore more of the stone wall-lined roads of the Mosby Heritage Area. Sitting on the former path of one of the area's major historical turnpikes, the stone Caleb Rector House now silently sits overlooking the crossroads village of Atoka. It is the headquarters of the Mosby Heritage Area Association. Discover a part of Northern Virginia’s industrial heritage — the restored gristmill at Aldie Mill Historic Park, in Aldie. 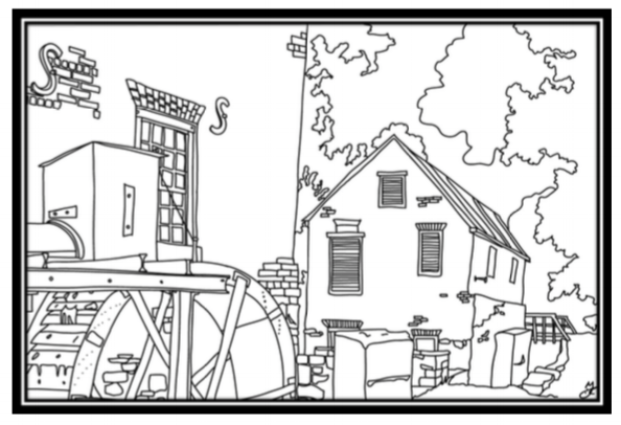 Built between 1807 and 1809, the Aldie Gristmill was once the largest factory of its kind in Loudoun County. The mill's tandem metal waterwheels are fully operational, making it possible for visitors to watch live grinding demonstrations. Melanie Fuechsel, who created the new Mosby Heritage Area Activities Guides, is a resident of Fauquier County and grew up with the beauty and history of the Heritage Area in her backyard. With that background, she discovered that visiting and interacting with our heritage in its natural landscape is what keeps history alive and connects us as a community. A graduate of University of Mary Washington with a degree in historic preservation and a certificate in the field from Northern Virginia Community College, Melanie shares her passion for history and love of place with families, students, and teachers through the storytelling and illustrations in these fun and engaging activities.